I edit under Windows 10 on a 40 inch Phillips 4K monitor, which needs a little care as the default font size is very small. But you can tell Windows about this and it compensates in normal operation. 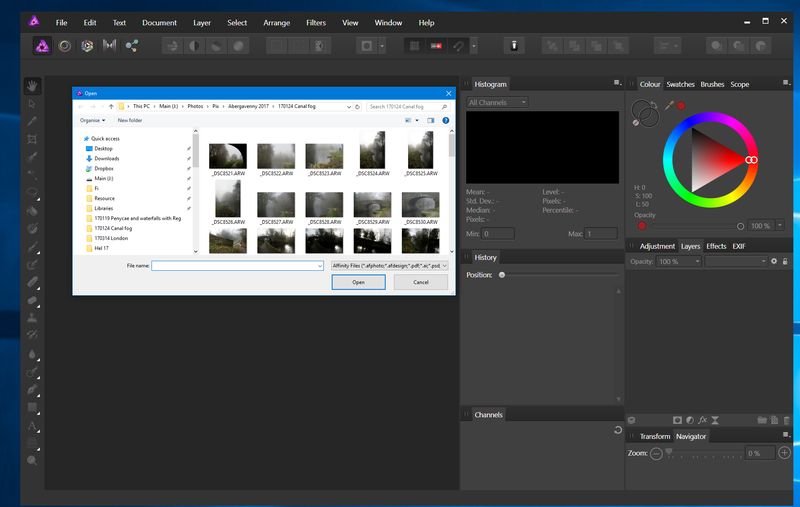 Applications can pick up on this setting and Affinity Photo does this well in the main window. But when I do something like a File/Save, it does not, using the basic very small font sizing. It's not the end of the world but I do have to squint (I'm pretty short sighted). Hopefully not too difficult a fix. Could you attach a screenshot of the application, along with a screenshot of your DPI settings please. I'm running it on a 27" 4k screen and they're about the same size as other apps. Here's a clip. You can see the font sizing on the main Affinity window, with the 'Open' dialogue overlaid in smaller font. I suspect this is something to do with Microsoft, modal boxes and and the flags they set. I've confirmed that this is not an issue in Photoshop, btw. ps. where would I find the DPI settings you are seeking? 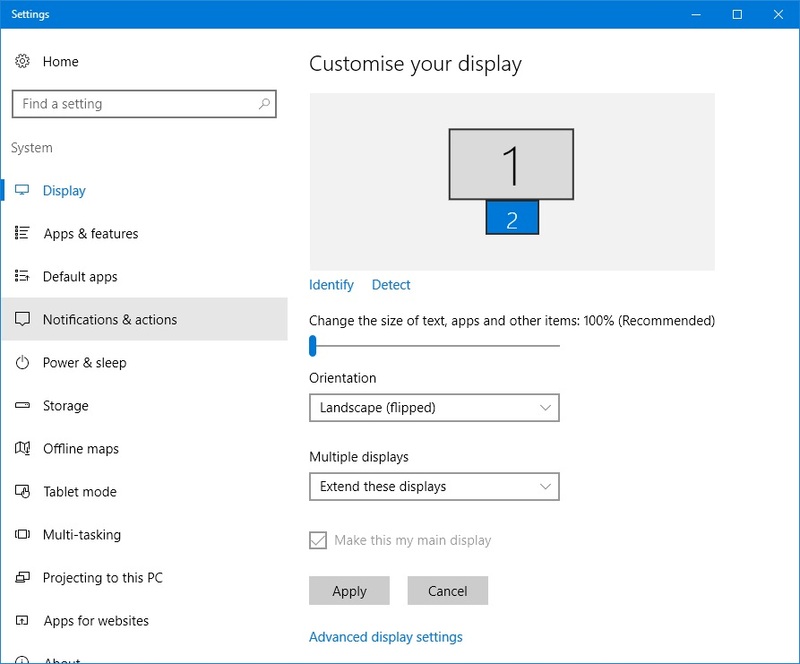 You can find the DPI settings in: Windows 10 Settings > System and look at the value of the slider labelled 'Change the size of text, apps and other items'. With that said though it is very strange that the 'Open' dialog is smaller, is that the normal size of it for you? OK. That setting is 150%. Affinity Photo main screen is the correct setting, which is 150%. It looks like the Open dialogue (and others like Save do this too) is not picking up this scaling factor and hence is 100%, which is rather small on a 40 inch 4K screen which is 4096 × 2160 pixels. Photoshop (and other programmes like MSWord) picks up this scaling factor correctly, with the main window and the Open (etc) dialogue all being 150%. Are you using a Laptop in addition to the 40" screen or any other kind of multi screen setup at all? This is on a desktop (Chillblast setup) with a 21" small screen angled below the 40" screen. The smaller screen is the primary display. Could you post a screenshot of the Windows Settings screen I mentioned above that shows the DPI values please? I presume your primary display is set to 100% and your secondary screen is set to 150% (or higher). I did an experiment to help. Set the smaller display to 150%. Result: Affinity now does 'Open' dialogue at correct font size on large screen. Another observation: The smaller screen is #2 on the settings, but has 'Main display' checkbox set. 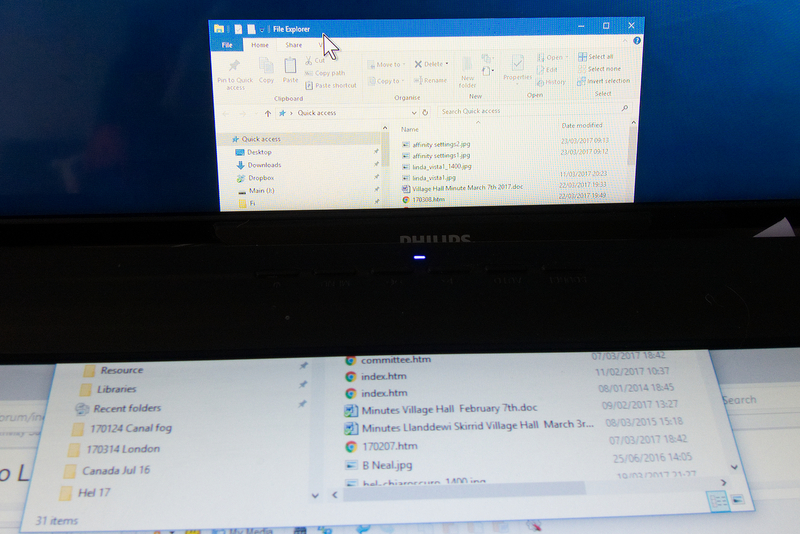 Another once: If you open, say, Windows Explorer on one screen and drag it slowly onto the other, the font size is initially incorrect, but switches during the dragging, around half way through the move from one screen to the other. So each screen has a different size of font on, correct for it on the same dragged window. Screen photograph attached. MSWord does the same. PS is not quite as responsive but does switch. Thanks for the screenshots. 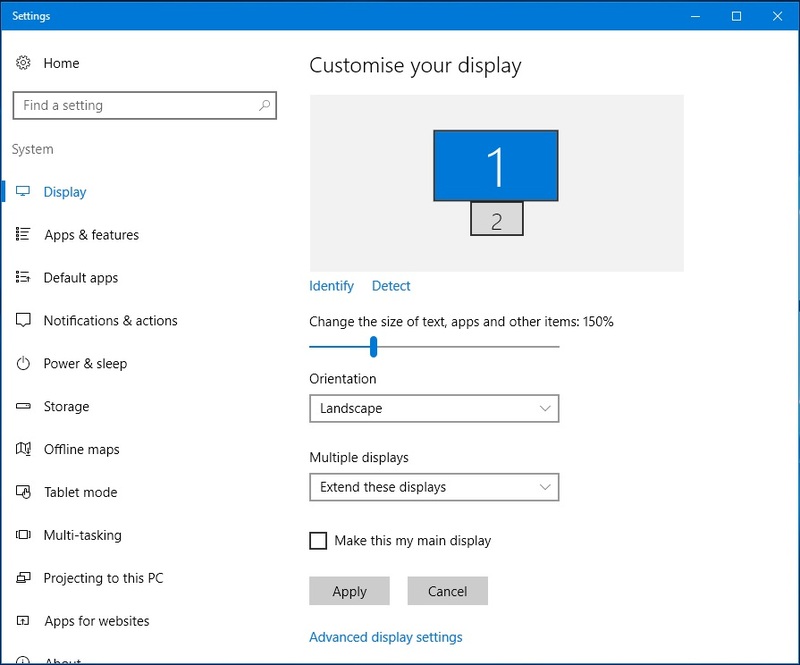 The behaviour you are seeing is correct and is down to Windows 10's implementation of multi-screen DPI. You could experiment by reducing the scaling on the larger screen to 100 or even 125% to see if you prefer it or find it more comfortable. It's not a big deal and I can live with it, but we're still left with the situation where PS does it right and AP doesn't.